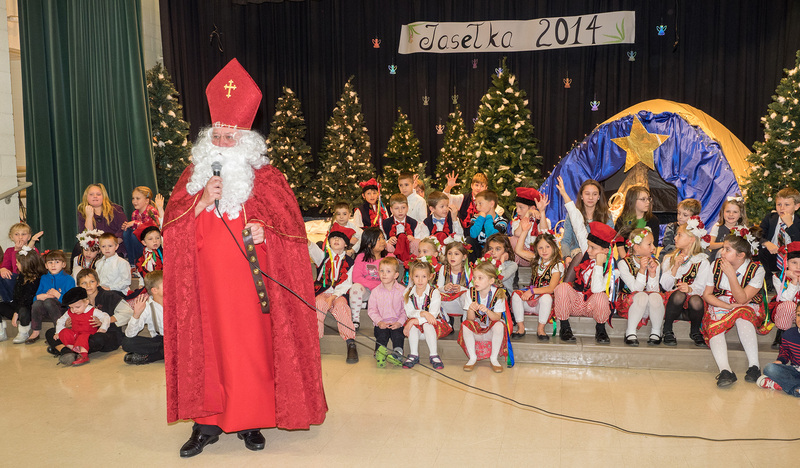 Our students will perform their very own special Christmas play in Polish. Their performance will be followed by dinner buffet: pierogi, Polish sausage (“kielbasa”), homemade hunter’s stew (“bigos”), coffee and dessert. The event will also include Christmas carols performance by Alina McNichol, a raffle, and a visit from St. Nick. (children under 5 are free). All proceeds from the event will benefit the students of the Polish School of Charlotte. Please use the form below and press the Submit button to let us know if you will be coming, and indicate in the note field how many people will come. We will have your tickets available at the door. Questions? Please us at info@polishschoolofcharlotte.org.